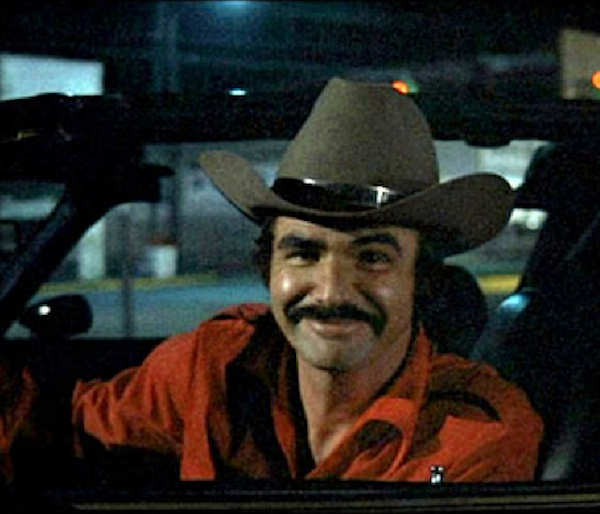 Yes, chasing your dreams will put a smile on your face, but unlike Burt here I’d recommend that you not make money by running blocker for illegal alcohol deliveries. I’m in the midst of planning the materials and segment for my upcoming new podcast show, Cars For a Living. As I shared in my 2012 Goals post, after working in the muscle car market for nearly three years now I’ve come to learn the ups and down of working in this industry, and I’ve also learned that nearly everyone and their brother that loves cars would love to make a go of it themselves. The problem is, they’ve never had the skills, plan, etc. to be able to put it all together, and they assume that it’s probably unattainable. While I’d love to say that chasing dreams, especially automotive ones, is a cakewalk….it isn’t, and unless you’re careful you’ll find a way to blow a ton of time on something that never will produce any real revenue (and I speak from experience there). That being said though, after doing a lot of things wrong, and talking with a lot of others in industry that struggled but later succeeded, I now know that it’s possible with the right approach. My goal is to help people get over, under, and through those obstacles so that they can get up and running towards chasing their high octane fueled dreams. Last summer I surveyed over 180 people in regards to the type of automotive career that they’d like to pursue. The results may be skewed a bit as my audience was primarily made up of muscle car owners and hot rodders, but the results themselves rang loud and clear. People would love to make a go of something if they thought it could work! I thought I’d touch base quickly on the Top 3 choices for the survey and do a little dreaming with you! Without a doubt, the number one answer on the survey by my audience was that they’d love to build and restore cars for a living. Couldn’t you see it now? You’d be bringing in rusted out hulks, sending them out the door as period correct restorations, pro-touring monsters, and everything in between. You’d spend your days fabricating and your weekends showing off your work. Every now and then you’d take a “customer car” to show off to your buddies at the pub and you’d be the envy of the town. Easy enough, right? They typical profit model of a build shop is simply to charge shop time ($85/hr, $100/hr.) plus a mark-up on parts. While this model can work with great success it typically requires some big-money repeat customers to keep the profitable jobs coming in the door, the sale of in-house developed products, or a combinations of both. Keeping the sales funnel FULL is the key. It also takes mad skills in guerrilla marketing to make a name for yourself so people realize that you’re the right person to go to. It can be done though, just ask Troy Trepanier (Rad Rides by Troy) or Chip Foose. Second on the wish list of automotive dream jobs was that of a speed parts developer. We’ve all seen the Tucker’s from Detroit Speed out ripping up the autocross track every Saturday, and it looks like an honest dream job. Who wouldn’t want create and showcase parts that make a car go fast and be cooler? It goes without saying that to be a developer of speed parts that you (or someone you hire) must have the actual skills to create quality parts, but assuming you’ve passed that step you’re already half way there! The key to understand here is that even if you invent the second coming of the small block Chevy, if people either don’t want it, or don’t want it at your price point, it won’t fly. On the plus side though, you really don’t have to come up with something as revolutionary as the iPhone. You can simply improve on something that’s already in the market (i.e. build a better mousetrap!). Since the survey appeared to have a 3-way tie for third place I ended up going through the ‘Other’ category to identify what people had written down there. Once I did that I found that several people simply wrote in one of the choices that was already listed, so after re-tallying I discovered that owning a Classic Car Dealership beat out the Media and Race Car Driver categories by just a smidge (but not much). This category doesn’t need too much explanation. If you’ve ever been though a nice classic car shop, ever watched Chasing Classic Cars on the Discovery Channel, or ever just surfed through our Classifieds section here you’ve likely discovered that there are a lot of dealers that have found a way to make it work. Some are more successful than others obviously, but the basic business model is to purchase cars that you know people would want, doll them up a bit, and then resell them at a higher price (and yes, I’m generalizing heavily here). Some dealers choose to incorporate restoration services as a part of their business model, and some don’t. They do get their choice of sweet rides to toodle around in, and wouldn’t it be great if the person in the head office were you? I’ve just started to scratch the surface of some of the businesses and concepts that I’ll be covering in my new podcast show “Cars For a Living,” and while I hope I have stirred up your enthausiam to maybe actually chase that dream one day, I must emphasize that it won’t be easy. Nothing worth anything is EVER easy. Every single business that I’ve listed here has a billion down sides, and I’m sure that current business owners in each and every category could speak to all of the tough things they had to get past to have any hope of success. What can you be the best in the world at (and what you cannot be the best in the world at)? Hopefully that’s a helping start. To your success and bright future! Hey, Judith. Your comment here of August 29th went to the spam folder for some reason. It’s not something I regularly check, but happened to see it tonight. Thanks for stopping by.